← How Long is Long-Term? Are We in Danger of Sacrificing Food Security to Satisfy GMO Paranoia? Who Needs Scientists? Just Let Mother Nature Design Your Greek Yogurt. 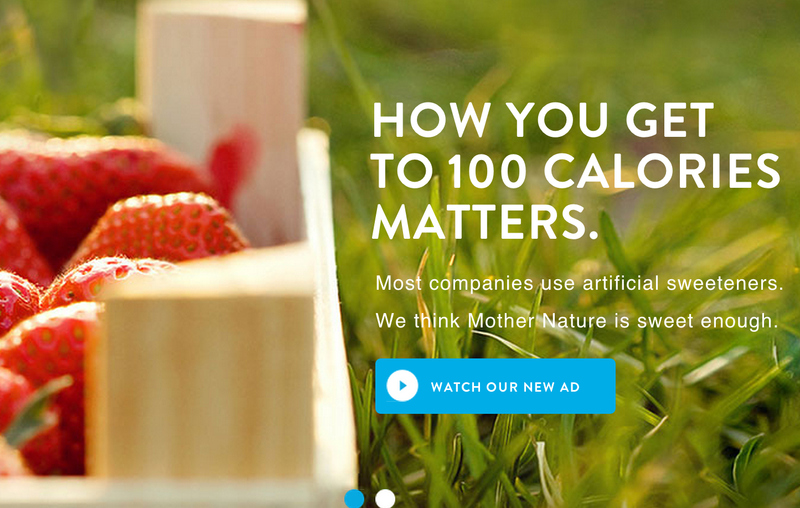 “How you get to 100 calories matters. Most companies use artificial sweeteners. We think Mother Nature is sweet enough”. Clever marketing from the greek yogurt company Chobani, simultaneously disparaging alternative brands, and playing the ultimate caring, sharing, natural card with the mention of “Mother Nature”. However, earlier this week, Chobani’s #howmatters hashtag set the twitter feeds alight after their new “witty” tagline on the underside of yogurt lids was posted (below). The wording plays beautifully into what is fast becoming a universal fear of science intruding on our food supply – we want real food; food like our grandparents ate; food from traditional breeds and heirloom varieties – providing it doesn’t take us over 2,000 cal per day or increase our cholesterol levels. Rightly or wrongly, many people blame processed foods with hidden sugars and added chemical preservatives for many health issues in developed countries – the epitome of a #firstworldproblem, given that the corresponding #thirdworldproblem is hunger and malnutrition. However, this time the twitter anger wasn’t from rampaging mommy bloggers, or infuriated activists, but scientists. After all, without science, would Chobani have a product? Yogurt was first developed in ancient times, but the modern pasteurized, long-shelf-life, greek yogurt is rather different to the cultured milk our ancestors would have enjoyed. 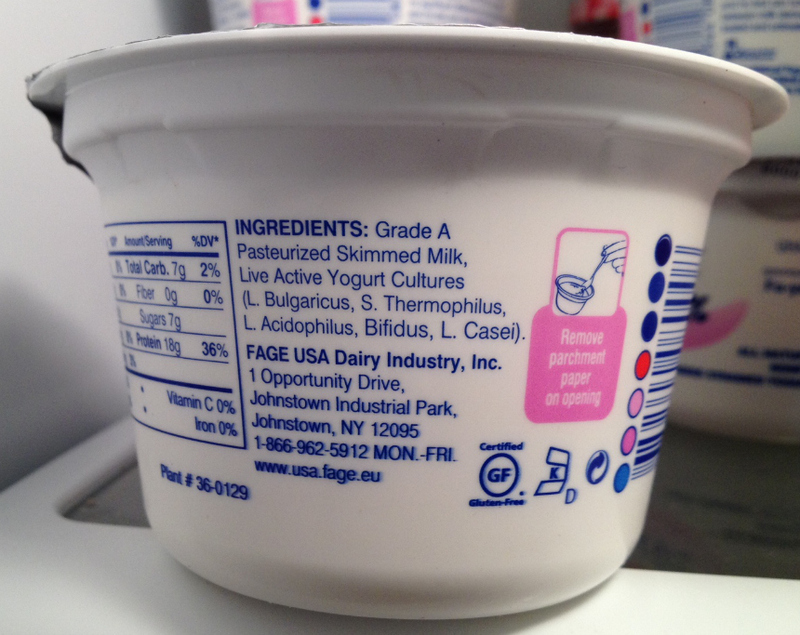 I have a 100-calorie greek yogurt from a rival brand in my fridge, so let’s examine the ingredients (left). Simply pasteurized skimmed milk and live active yogurt cultures (note, no added sweeteners). Louis Pasteur, a 19th century French scientist developed pasteurization (in addition to his discoveries relating to vaccines and microbial fermentation); biologists developed methods to identify and classify the bacteria that ferment milk into yogurt; and food scientists experimented with the exact mixture of bacteria to produce the desired flavor, texture and color of yogurt, as well as developing the range of other processes needed to make the yogurt safe, appealing and shelf-stable. Yes, we could make greek yogurt without scientists – after all, the original recipe didn’t originate in a corporate experimental kitchen. But without hundreds of years of scientific input, could we make Greek yogurt that, at 100 calories per serving, is desirable to the consumer and is a safe, affordable source of vitamins, minerals and protein? No. To imply that we could does a huge disservice to food scientists. It appears that being a modern-day scientist appears to be somewhat equivalent to clubbing baby seals to death. Caring little for human suffering and illness, the cold and clinical scientist rubs his hands together with glee as he removes all nutrients from real food, replacing them with chemicals, additives and genetically-modified ingredients. As a side-line, he develops cocktails of toxic elements, pesticides and embalming fluid and markets them as vaccines. Yes, science is the enemy. Just remember that next time you take an aspirin for a hangover from pasteurized, fermented beverages. This entry was posted in Activist, Chobani, Consumer, Dairy, Fear, Food and Nutrition, Food Security, GMO, Health, Milk, Mother Nature, Paranoia, Pasteurization, Research, Science, Scientist, Technology, World Hunger, Yogurt and tagged Chobani, Dairy, Fermentation, Food, Food Safety, Food Security, GMO, Greek Yogurt, Health, Hunger, Medicine, Pasteur, Pasteurization, Science, Scientist, Technology, Vaccine, Yogurt. Bookmark the permalink. I think Chobani had good intentions, but this is a MAJOR PR fail on their part. I think they intended to be supportive of science in agriculture, but came of anti-science….as does their FAQ page.